The construction of Cove Park's new Artist Centre has begun! Here we will chart the progress of the major capital redevelopment project through to its anticipated completion in July 2016. 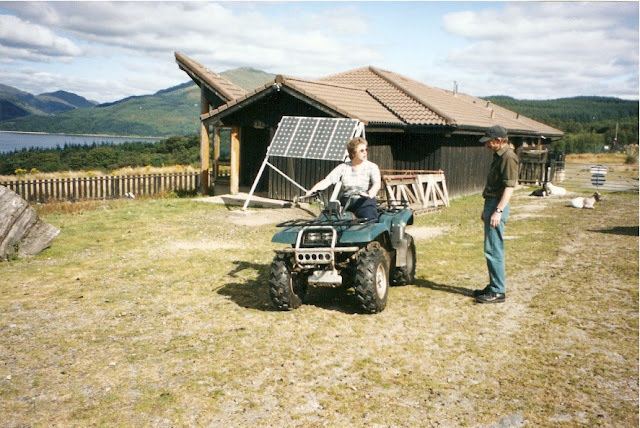 Eileen Jacobs one of Cove Park’s founders on site in its early days in 2000! Cove Park creates year-round residencies in all the art forms for national and international artists, collaborative groups and organisations. It is located on 50 acres of unspoilt hillside overlooking Loch Long on Scotland’s west coast. The capital project is funded by Creative Scotland and a number of trusts and individuals (please see below), including major awards from the Robertson Trust and the Monument Trust.